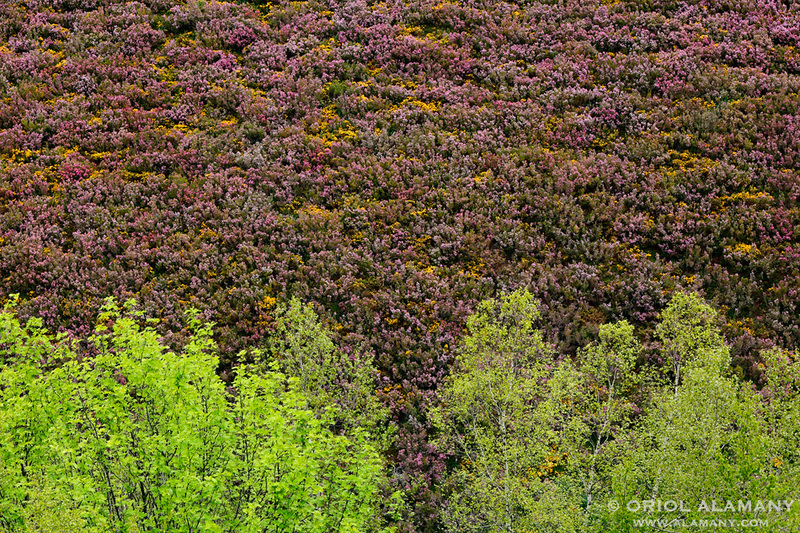 Heather and broom in bloom, with ash and birch trees in Somiedo. Last spring, after spending a week looking for and photographing grizzly bears in the mountains of Asturias, I spent the last day there to calmly stroll and photograph the colorful explosion of the spring in these mountains of northern Spain. In this composition I used a short telephoto lens to frame only a small part of the slope in bloom, eliminating both the sky and the valley floor.